The motivational quotes are great for getting yourself out of bed on Mondays. But when it comes to sales, you need targets that are measurable. Simply put, you need to know where you’re going and when you want to get there. Targets, of course, differ from company to company, from department to department. Be it the amount of closed deals, converted leads, increased website traffic or Instagram likes of your adorable puppy mascot, targets is what keeps your company growing and your sales rocketing. And what better way to ensure that you hit your (ambitious but attainable) targets than to have them in front of your eyes? Forget the whiteboards and TV KPI screens. Track your targets right there where you get your sales done — in your OnePageCRM Action Stream. Meet our Motivational Targets Widget. With it, you can easily track your conversions, calls or closed revenue targets. With the real-time progress continuously displayed in the bottom left corner of your Action Stream, you will always know how far off the target you are and when it’s time to give it an extra push. All it takes to set up and customize your Target Widget is just a couple of clicks. To enable your widget, go to Settings > Preferences > and select the check-box Show motivational targets widget. The main point of the widget is to reflect your goals and needs. To set it up to your liking, hover your mouse over the widget in the bottom left corner, select the gear icon, set your targets in the appeared pop-up and hit save! Conversions: Choose the number of conversions you wish to achieve per week, month, quarter or year. Conversions are measured by changing a contact’s status, i.e. 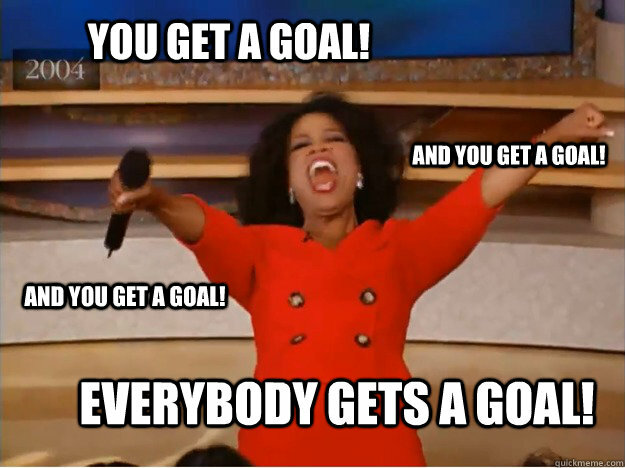 from a lead to a prospect. Calls: Choose the number of calls you want to make per day/week/month/quarter/year. Your calls target will be updated each time you log a call for a contact, regardless of its result. Revenue: The Revenue target is based on your Expected Total of Won + Pending deals in your Pipeline and can be calculated by month, quarter or year. How can the Targets Widget Help You? Measure your progress – it will help salespeople to stay on track and allow managers to see exactly how individual sales reps activity impacts the overall business goals. Prioritize – with defined targets right in front of you, it’s easier to stay focused and set your Next Actions accordingly. Accelerate – deadlines are good. Connecting them to the targets will help sales teams manage their time more efficiently and ultimately achieve faster results. Visual – the targets widget will update with each associated completed action or conversion, allowing you to clearly see how close you are getting to your ultimate goal. Plus, it’s harder to ignore a target or a deadline when it’s right in front of your eyes. 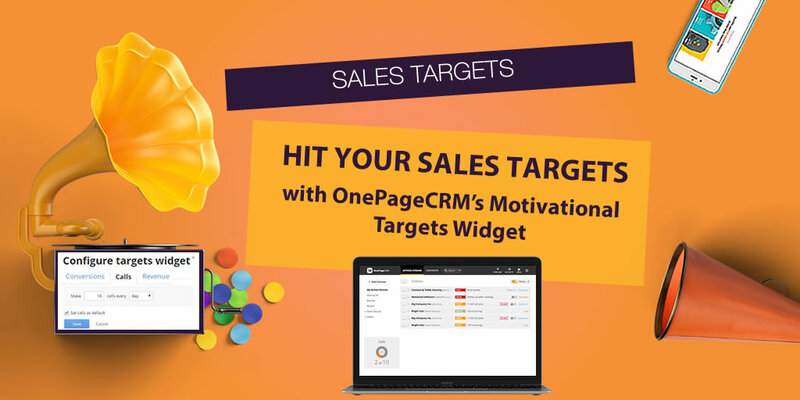 So there you have it the OnePageCRM’s Motivational Targets Widget is available and ready to help you hit those sales targets! If you’re using it we’d love to hear your feedback. Let us know by tweeting us @OnePageCRM #AskOnePageCRM, comment below or contact me at evelynod@onepagecrm.com.